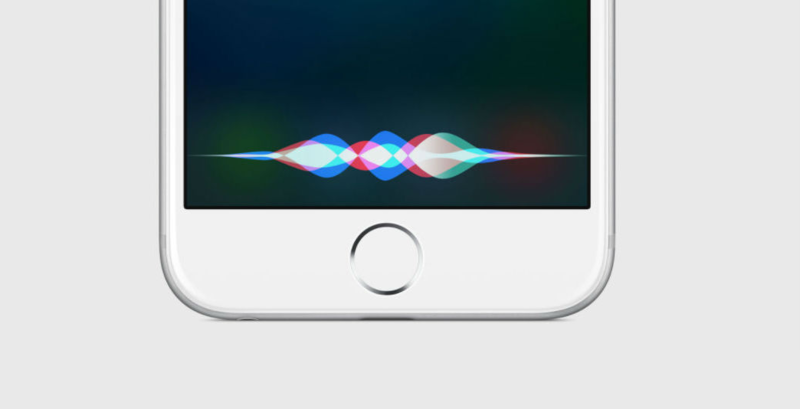 After updating to iOS 11, if you want to use Siri but don’t know how to turn on “Type to Siri”, read this article about how to enable “Type to Siri” in iOS 11 on iPhone and iPad to find your answer. If you lost important data after updating to iOS 11, download this iOS - data recovery tool and use it to get lost data back without effort. Type to Siri is a handy feature in iOS 11 that’s been expected by many iOS users, because it allows you to type your commands instead of speaking to Siri loudly. When you’re walking on a noisy street, in a public office or at some inappropriate places, you can just type to Siri to make your queries or demands. 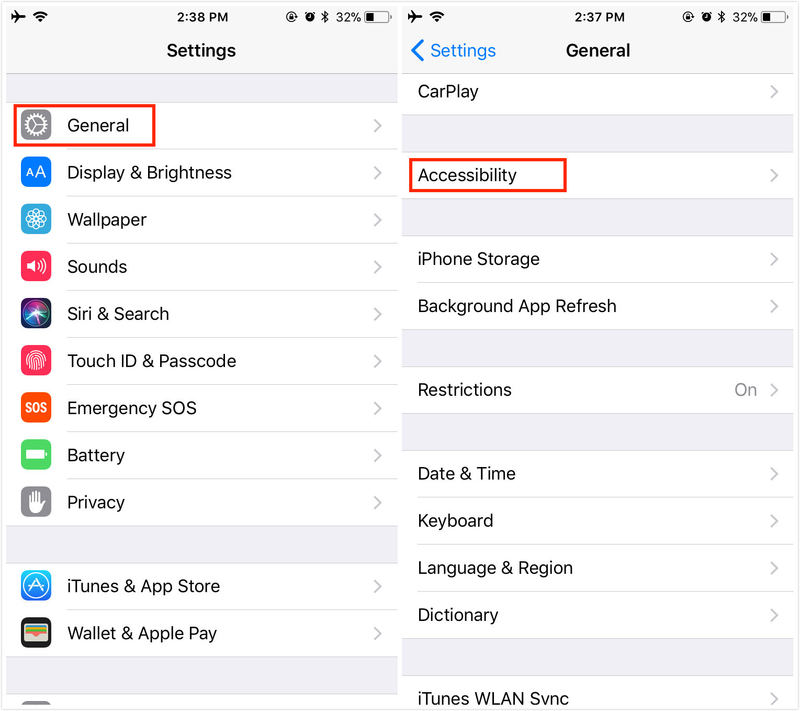 Well, do you know how to enable “Type to Siri” in iOS 11 on your iPhone or iPad? Actually, it’s not complicated; let’s get to know how to turn on “Type to Siri” in iOS 11. 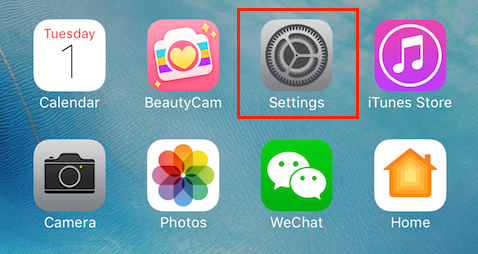 Follow steps below to enable “Type to Siri” in iOS 11. 2. Tap on General. Then tap on Accessibility. 3. Type on Siri. Then turn on the switch next to Type to Siri. Tip: You can check it to see if the changes are in effect by launch Siri, you can press the Home button or just say ‘Hey Siri.’ Different from the usual Siri interface, you’ll see the keyboard immediately come up. Type away and Siri will throw replies at you like it should. Undoubtedly, losing data happens every year when updating to new iOS, the only way to avoid losing data is to make a backup for your device in advance. The traditional method of retrieving data is using iTunes or iCloud backup, but this method will wipe the existing data on your device and isn’t support selectively recover data. If you’re looking for a better option, you can have a try on a professional iOS & Android data recovery software - PhoneRescue. For iOS users, PhoneRescue - iOS data recovery enables you to selectively preview and recover kinds of data from iTunes backup and iCloud backup without data losing, what’s more, if you don’t have any backup, it also supports recovering lost data from iDevice without effort. If you lost data after iOS update, you can download it to get data back. 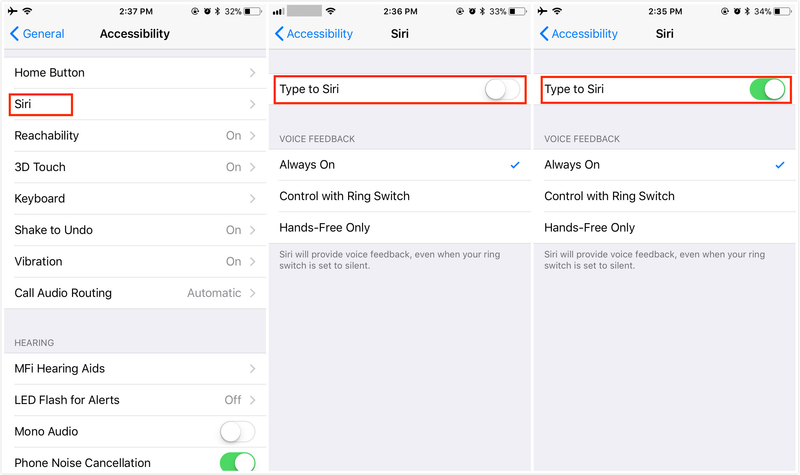 After skimming through this article about how to enable “Type to Siri” in iOS 11 on iPhone and iPad, you’ll have a better experience with using Siri. Meanwhile, you’ve got a simple way to recover missing data. If you lost data by accident, just download PhoneRescue to have a try.